Amazon.com, Inc. (NASDAQ:AMZN) will release a set-top TV box later this year that will stream video over the Internet, challenging Apple Inc. (NASDAQ:AAPL)‘s Apple TV device and a similar gadget sold by start-up Roku, BloombergBusinessweek reported on Wednesday. The box will plug into TVs and give viewers access to Amazon’s digital video content, which the company has been expanding, BloombergBusinessweek said, citing three unidentified people familiar with the project. An Amazon.com, Inc. (NASDAQ:AMZN) spokesman did not immediately respond to a request for comment. Amazon’s video content is already available on other set-top devices, including Roku. Building its own gadget will help Amazon.com, Inc. (NASDAQ:AMZN) put the content more directly in front of consumers and give developers another reason to create apps for Amazon’s digital platform, BloombergBusinessweek said. 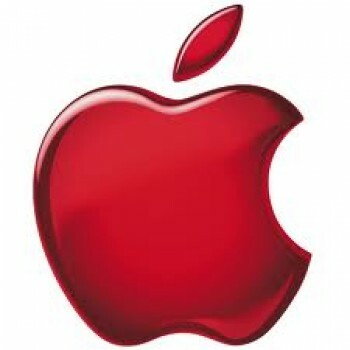 Apple Inc. (NASDAQ:AAPL) +0.78% sales in Greater China rose at a healthy clip in its latest quarter. But the numbers belied growing concerns in the company’s second-largest market as the bonanza in high-end smartphones started winding down. China’s rapidly expanding middle and upper classes had discarded old cellphones for new smartphones in surging numbers over the past two years, scooping up expensive smartphones made by Apple, HTC Corp. 2498.TW +3.92% and Samsung Electronics Co. 005930.SE +0.20% and others. But with almost 300 million Chinese already subscribing to high-end mobile services, the next wave is centering on less-expensive smartphones, leaving Apple in a quandary over whether to chase lower-end users or keep focusing on the smaller, high-end segment, where profit margins are greater. Google Inc (NASDAQ:GOOG) has acquired Wavii, the Seattle-based startup behind a news summarization app, for roughly $30 million in cash, a person with knowledge of the matter said Tuesday. Google’s successful bid came after Apple Inc. (NASDAQ:AAPL) had expressed interest in buying Wavii to incorporate the startup’s natural language technology into Siri, Apple’s voice-activated personal assistant feature, said the person, who declined to be named because the deal has not been publicly announced. Google Inc (NASDAQ:GOOG) and Wavii declined to comment. Google’s purchase comes several weeks after Yahoo! Inc. (NASDAQ:YHOO) paid a similar amount to acquire Summly, the news reader and Wavii competitor founded by 17-year-old Nick D’Aloisio in London. Shares in Apple Inc. (NASDAQ:AAPL) are set to open down 3 per cent on Wednesday as the company’s plan to return $100 billion in capital failed to appease shareholders shaken by the iPhone maker’s first quarterly drop in profit in a decade. A soft outlook from Apple for the current quarter prompted at least 17 brokerages to slash their price targets on the iPhone maker’s shares by up to $180 per share. Apple forecast revenue of $33.5 billion to $35.5 billion this quarter, lagging Wall Street’s average expectations of $38.2 billion. Can an unloved company buy back investor love with share repurchases? The odds aren’t in its favor, but Apple Inc. (NASDAQ:AAPL) +1.05% is sure going to try its darnedest. Birinyi Associates, in a note to clients last night, tallied up 28 share buyback authorizations totaling $15 billion or more, stretching back to the summer of ’04. (At $50 billion, Apple’s buyback bonanza is easily the biggest.) As Wednesday’s performance suggests — Apple is down about 1.5% at last glance — Apple’s buyback is drawing at most a “meh” from the marketplace. And perhaps that makes sense: Over the next three, six and 12 months, Birinyi found companies authorizing buybacks fell an average 3.3%, 3.7% and 1.2% respectively, and generally underperformed the S&P 500 to boot.